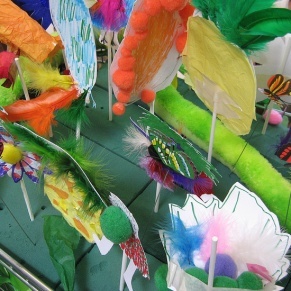 Here are some of the images from Marty workshops which we have run in the past. 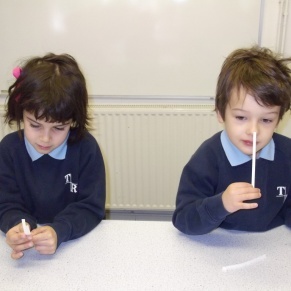 Most of the activities can be reproduced easily in any classroom. 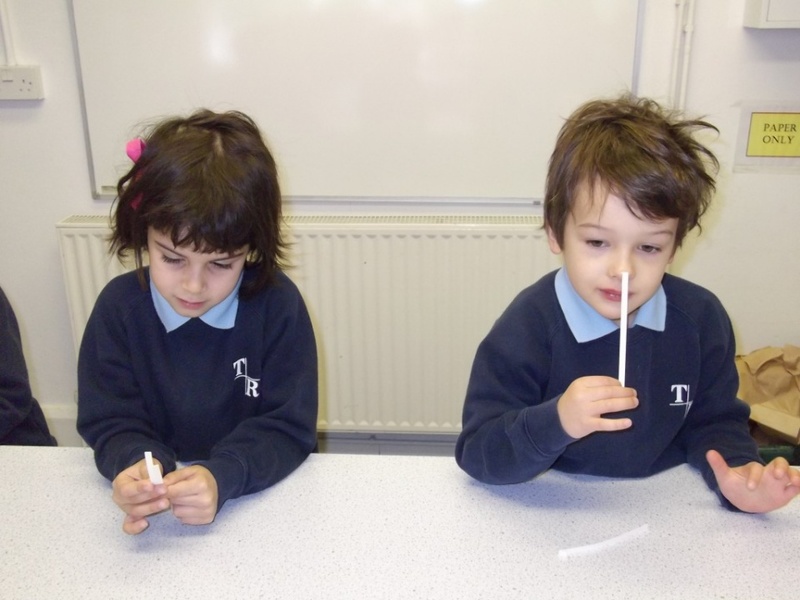 And if you've been delivering some smell activities in your classroom, let us know as we'd love to share your ideas with other teachers. 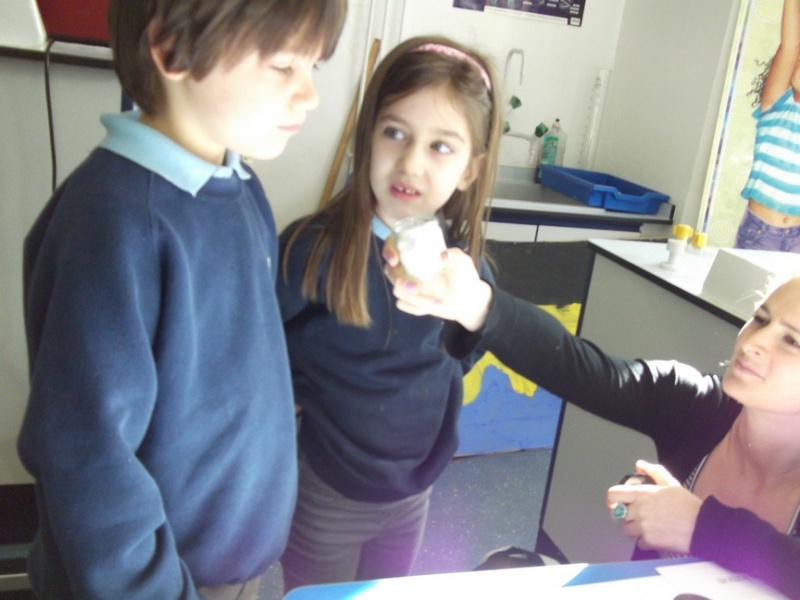 Team Marty recently ran a workshop with a Year 5 class at a school in Chichester. 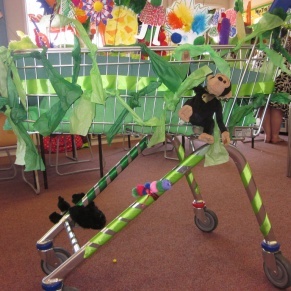 They were planning for their school carnival, and had a trolley to festoon and decorate, provided by a local supermarket. 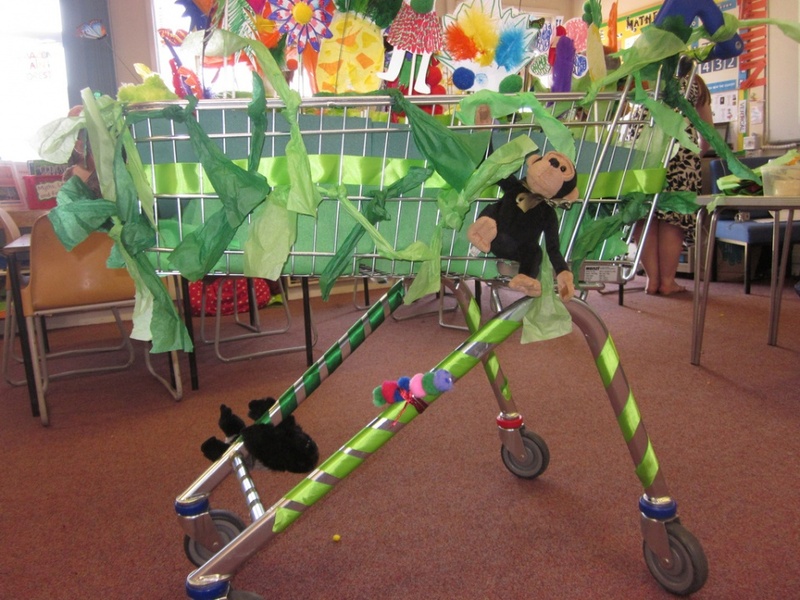 We worked with the pupils to create a smelly rainforest theme. 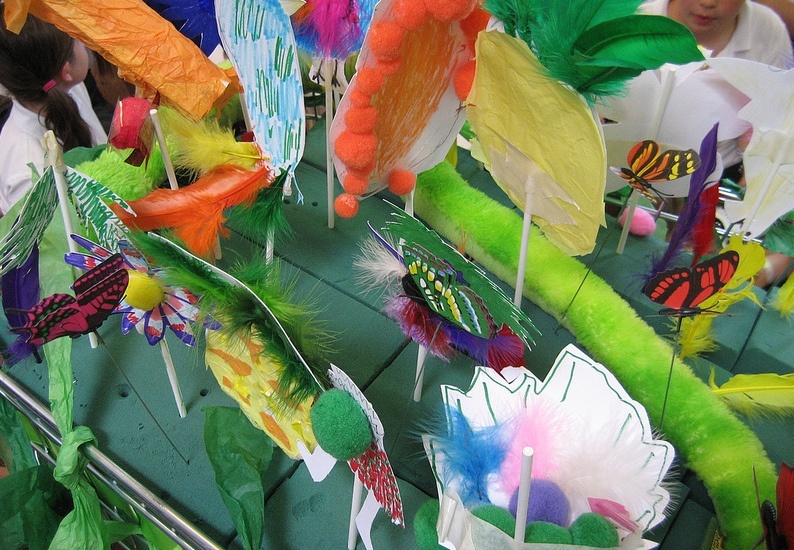 They created beautiful paper flowers, birds and fruits, which we sprayed with the scent of vanilla, which comes from tropical orchids (try vanilla essence from the supermarket diluted 1 to 5 in surgical spirit. 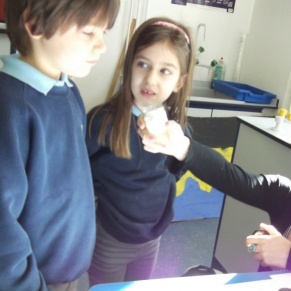 Spray away from the class and allow to dry!). Marty the Mighty Nose generally offers workshops which deploy everyday smells which are easy for anyone to obtain from the local shop. 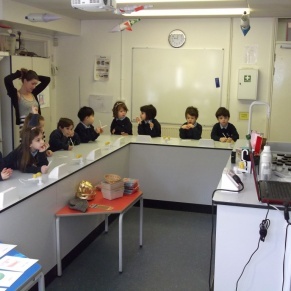 However now and then we do offer something more exciting for schools interested in the process of making scent. 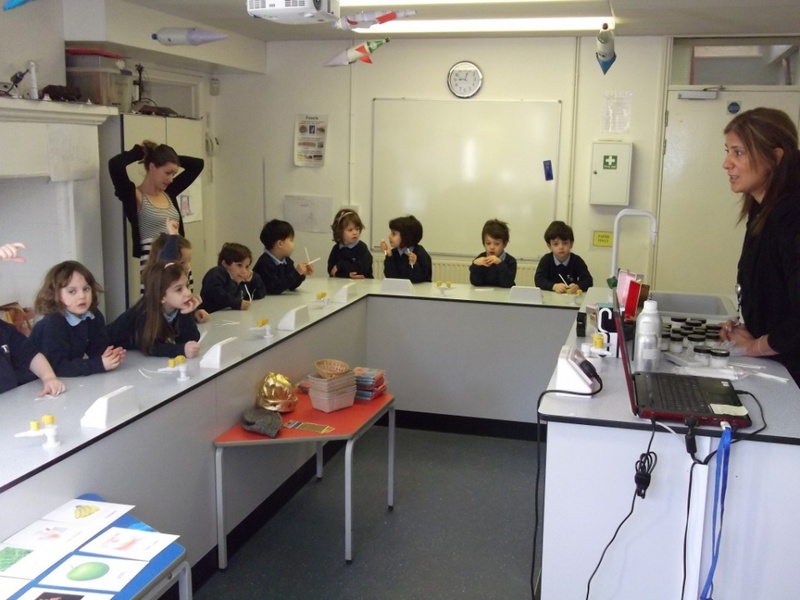 Here are some pictures from a workshop we ran in a school in London, in which pupils discovered different aromas and made them into various concoctions - all safe for young skin!